The National Hurricane Center uses specialized aircraft's to fly into hurricanes to gain valuable insight into storms. The civilian and NOAA Corps crew members of the NOAA Hurricane Hunters have been based at the Aircraft Operations Center at MacDill AFB, in Tampa, Florida for several years. Now the MacDill Air Force Base is evicting the aircraft to make space for its own planes. 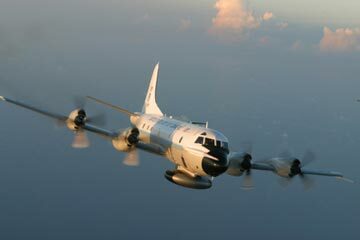 They fly two Lockheed WP-3D Orion aircraft, heavily instrumented flying laboratories modified to take atmospheric and radar measurements within tropical cyclones and winter storms, and a G-IV Gulfstream high-altitude jet above 12 km to document upper- and lower-level winds that affect cyclone movement. The National Oceanic and Atmospheric Administration has till next June to find a new location.